Mikel Arteta overseas Manchester City game against Lyon yesterday in which they lose. Though Pep was watching from the stands, Manchester City couldn't break down Lyon as they lost the game by 2 goals to 1. Maxwel Cornet opened the scoring for Lyon before Nabil Fekir doubled their lead before half-time. City came back strong in the second half as Bernardo Silva got a goal in the early stage. However, the goal wasn't enough to safe City as Lyon defended their lead until the final whistle. 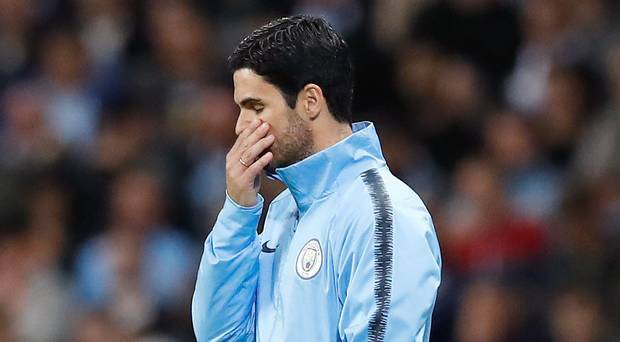 Arteta has now rubbished the claim that they lost the game because Pep Guardiola wasn't there and reveal they could have still lost if he was also there.